Conditions, such as your smartphone joining or leaving your Wi-Fi network, can trigger actions by other devices. 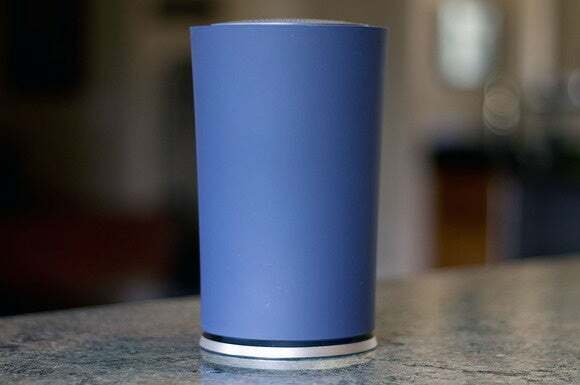 With IFTTT support, Google is turning its OnHub Wi-Fi router into a connected-home hub that knows when you’re home or not. IFTTT is a website and mobile app that lets users automate tasks through “recipes” (IFTTT stands for If This, Then That). These recipes tie into various online services, along with a growing number of connected-home devices. OnHub can now serve as a trigger for these recipes, sensing when various devices connect to its Wi-Fi network. If your child’s phone connects to Wi-Fi, then get a message saying she’s home. If your phone connects to Wi-Fi, then turn on the downstairs Philips Hue lights. If your phone disconnects from Wi-Fi, then engage the smart door lock. If Nest Cam senses motion, then prioritize the camera’s bandwidth. Tap a button on an Android Wear smartwatch to prioritize PC bandwidth. IFTTT integration is free to use with Google’s OnHub routers, which cost $200 and are manufactured by TP-Link and Asus. Bear in mind that the automation and bandwidth priority privileges don’t extend to people with only guest access to the network. Why this matters: While Google has been coy about the OnHub’s future, it’s been pretty clear from the outset that it was designed to be more than just a Wi-Fi router. That's why it has (currently dormant) features such as Bluetooth and IEEE 802.15.5 radios (the latter is a low-data-rate PAN—Personal Area Network—that’s ZigBee's kissing cousin), and support for Weave (Google’s nascent IoT platform). But Google's not the only router manufacturer going down this path. 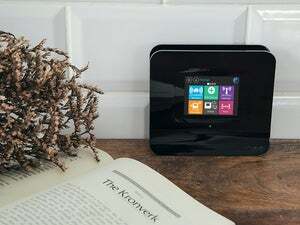 TP-Link's upcoming SR-20 802.11ac router combines 802.11ac Wi-Fi with Z-Wave and ZigBee radios, and you can add Z-Wave and Bluetooth radio dongles to Securifi's Almond 3 802.11ac Wi-Fi router. If you already own an OnHub, you might find IFTTT support useful, but it doesn't change our lukewarm opinion of the router.